4 Rothman Street B&B provides affordable, comfortable, spacious B&B and self-catering units. 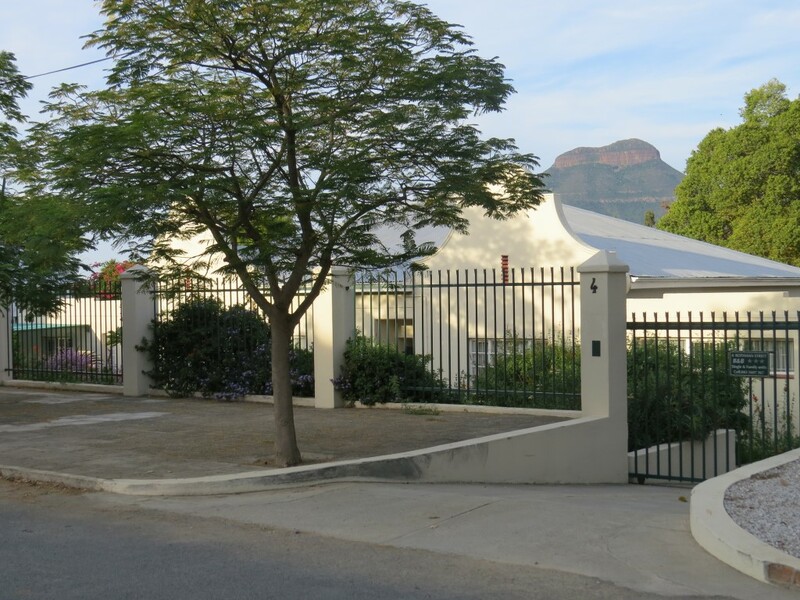 It is situated in a well-lit, quiet street in a safe area of Graaff-Reinet. It is within easy walking distance of the shops, museums and restaurants. It is ideal for families, singles, small tour groups and business people. Six fully serviced units consist of one or two en-suite bedrooms, a living room with kitchenette, braai facilities and the use of the swimming pool in our large indigenous garden. Our beds are of hotel quality and visitors have commented on the comfort provided. Each unit has DSTV, a heater, coffee and tea, an air conditioner and/or fan. The kitchenette is equipped with a microwave oven, fridge/freezer, kettle, toaster, crockery, cutlery and wash up sink. An extra bed or cot can be added to each of the units on request. 4 Rothman Street B&B has Wifi on request and offers laundry services by arrangement. The property is secure with off-street parking. Packed breakfasts or lunches can be arranged. Hosts, Zorb and Judy Caryer or our manager, Denise Moller, are always on hand to advise and see to the needs of guests. Our friendly, honest staff keep the units to a high standard of cleanliness. Please take enough time (2-3 days) to enjoy what the 4th oldest town of South Africa has to offer. One can visit the Valley of Desolation in the Camdeboo National Park which surrounds the town. Bird watching, hiking, game viewing or a trip to nearby Nieu Bethesda are all worthwhile activities. Visiting golfers have commented on the high standard of our 9-hole golf course. Historical walking tours can be arranged.